Ellis Ross earning significantly less than her co-star was discussed at a recent Time’s Up meeting, according to The Hollywood Reporter’s Tatiana Siegel. She reports that “with negotiations for the fifth season ongoing, sources say Ellis Ross feels that if she isn't brought up to Anderson's level, she may opt to appear in fewer episodes to make up the disparity by guesting on another show. The tactic has split opinions within Time's Up, with some worried that it's more a retreat than a forward-looking solution (fitting in extra work isn't always feasible, and often an actress wouldn't earn as much guesting as she would as a network star). 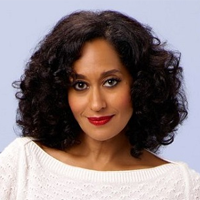 A network source says a new deal will significantly increase her compensation and cautioned that Anderson and Ellis Ross' roles aren't equal given that he has been attached to Black-ish from the start and is an executive producer.” But as Siegel notes, this kind of discussion wouldn’t have happened without the recent discussion about equal pay. UPDATE (1/20/18): Ellis Ross disputes the account published in The Hollywood Reporter, saying "there were never any threats” over equal pay and her Black-ish future.